The location was quiet and good for sleeping. The room was clean. Restaurants are close. Nice basic accommodation. Stairs a killer when you have a large heavy suitcase. Breakfast was very good and the location was good. Bus service from there was excellent. Ideal location. Super comfortable and chic rooms. Full delicious breakfast included. Great value. I arrived a little earlier than check in time but they were very nice about it. Very large and silent room, good breakfast, even if not so abundant. Great position, only 15 min walking from the castle. 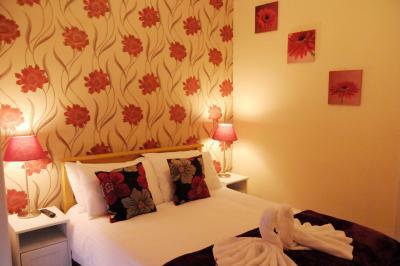 The accommodation offered an amazing breakfast considering the relatively low price. Multiple options are available. The room was spacious enough for a solo-traveller or a couple. Bed was comfortable. 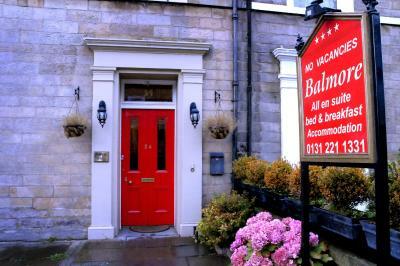 Balmore Guest House This rating is a reflection of how the property compares to the industry standard when it comes to price, facilities and services available. It's based on a self-evaluation by the property. Use this rating to help choose your stay! 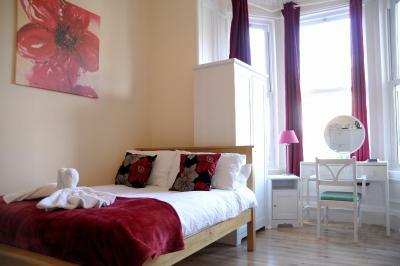 One of our top picks in Edinburgh.This friendly, family-run Victorian guest house offers modern rooms with attached bathroom across 3 neighboring Victorian townhouses. Edinburgh Castle and Princes Street can both be reached within 20 minutes’ walk. 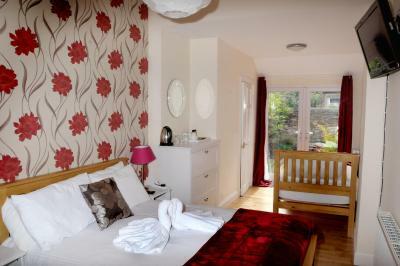 Balmore Guest House provides a superb inclusive breakfast, served in the conservatory. Nearby Union Canal features beautiful walks and waterside restaurants for guests to enjoy. 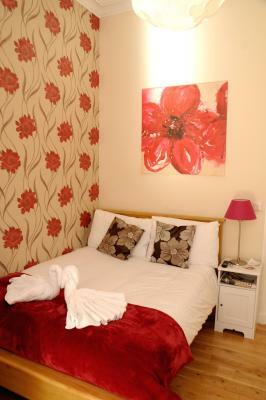 When would you like to stay at Balmore Guest House? Private parking is available at a location nearby (reservation is not possible) and costs GBP 15 per day. 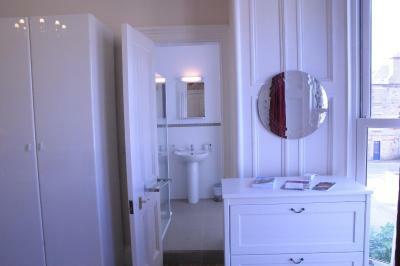 A private bathroom, a TV, free Wi-Fi, and tea/coffee-making facilities are in this room. 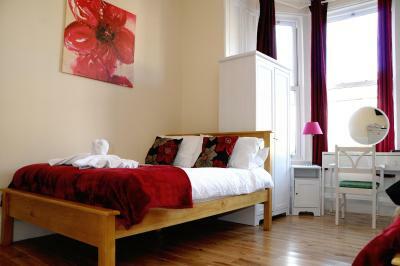 This spacious room with a bathroom has a TV and tea/coffee-making facilities. This quadruple room has a electric kettle. 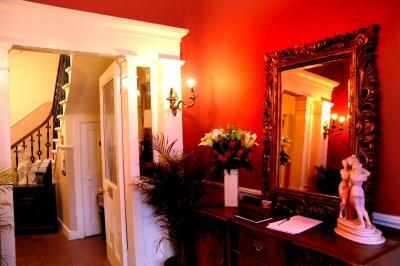 House Rules Balmore Guest House takes special requests – add in the next step! Balmore Guest House accepts these cards and reserves the right to temporarily hold an amount prior to arrival. Only guests checked into the guesthouse may sleep there. Guests cannot allow others to stay in their room overnight. Rooms are cleaned between 10 am and 3 pm. 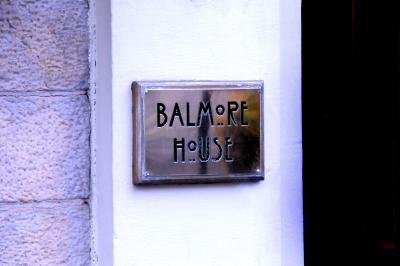 If you arrive after 9 pm, Balmore House will add an additional fee to your bill. EVERYTHING - The whole experience was appalling. We were in a building across the road and in the attic. The room was disgusting and filthy. We were booked in for breakfast but we left at 5 am as it was the worst experience ever and it was my first time to Edinburgh. Worn mattress, very uncomfortable sleep. Room was never cleaned in three days, shower was grimy to begin with and dust and hairs everywhere. Breakfast was sub-standard and staff very disorganized and unfriendly. Would certainly not recommend this place. 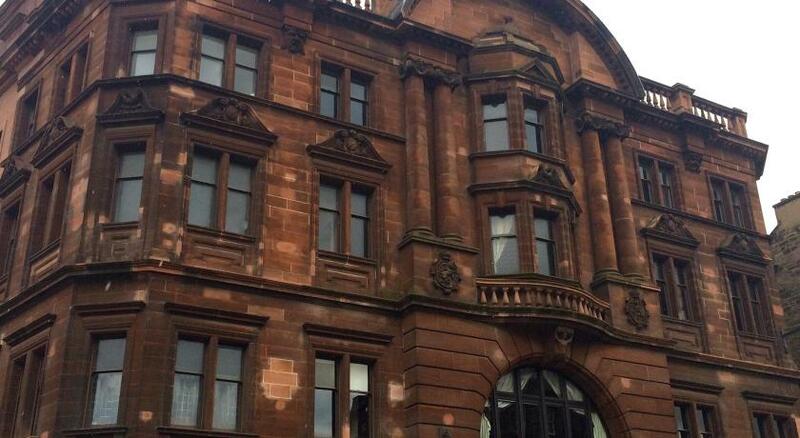 The building is lovely and the place could be fantastic after a good clean and proper training of the staff. Good location to walk into town. Emailed to ask for downstairs room for disable person, never reply! Bed was very confortable and breakfast place very special. Charges £10 per hour for checking in after 9pm in the evening but keeps broken coffee mugs in the room. Bathroom was not very clean and beds were not comfortable at all. Room was not smelling fresh. If you get a street faced bedroom you'll also get the noise of cars and people during the night. Breakfast is served on a different house beside the rooms, you need to go out to the street, not the best thing but not the end of the world either. Rooms at the back are silent. Breakfast is good and staff very friendly. The check in that only starts from 2pm, the checkout that must be done at 10am, and the fact that there is no one at the reception before 3pm. Very close to the centre of Edinburgh. Breakfast could have been a little more organised when it was busy but food was hot and yummy. The mattress was so comfortable I had to check what it was so I can buy one for me! 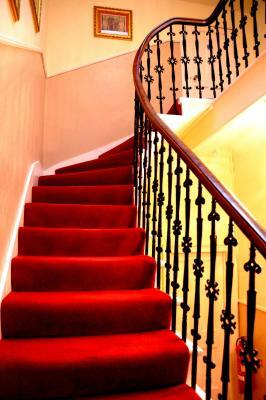 Really clean, we'll decorated rooms, beautiful building. Yummy breakfast. The bed was lumpy and saggy. The manager was amenable but always seemed to have better things to do. I try not to complain about eccentricities in our buildings, but that toilet refilled so loudly that I was hesitant to flush at night for fear of waking the neighbours. The breakfast staff was very friendly and helpful. And the veggie sausages were delicious. Everything was as said it would be in the advert . Poor facilities, not clean, poor breakfast, broken bathroom door, very thin walls, uncomfortable mattress, curtains very thin, constant dripping noise from the toilet, not informed we would be staying in a separate building. Ordered full breakfast. Very cheap streaky bacon used and low quality sausages.